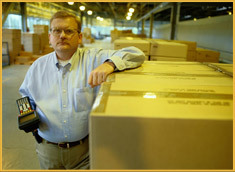 H.F. Wilson developed the infrastructure to provide customers a solution that would procure, store and supply products. This function became a core business competency over time as we specialized in building strategic relationships with manufacturers and customers to ensure the fulfillment function occurs at a low cost, and in timely manner while maintaining quality. Product Distribution is the traditional model wherein we procure and carry a majority of manufacturers and their products to provide a storage and supply function to our customers. We continue to add new manufacturers and products to our product distribution line card based on customer demand and internal research. This helps us bring value to the customers who depend on us being their source of product distribution that help solve problems. Our warehousing staff has an extensive background of managing a seamless environment of product distribution within the defined customer metrics to achieve 98.9% accuracy. In addition, our systems and technology allow us to custom fit any level of product distribution metrics a customer requires, based on their internal users and corporate goals. H.F. Wilson offers expertise in creating custom business solutions to manage the entire supply chain process of a company or customer. H.F.Wilson can be contracted to outsource your procurement and supply chain function to assist in the procurement activities. This program is facilitated by us being able to leverage the existing partnerships and alliances with manufacturers and suppliers of products and services. The process generates an added-value by the integration using E-Commerce and Information Technology partners. We can create custom applications and plug-ins to integrate our applications to the customers’ systems. Our implementation of standard EDI and leading edge XML technology allows our customers’ information technology systems to automatically exchange information using internet and other networking technologies with their customers’ information. 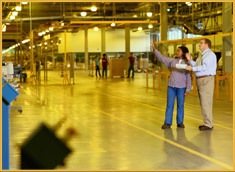 We facilitate the business and contractual relationships as well as unique business collaborations that occur between manufacturers, service providers and contractors in the deployment process.